What's new with SSC? Get the latest NEWS! Sanitary Service Company, Inc. (SSC) is Whatcom County’s largest recycling and garbage collection company, serving over 45,000 residential and commercial customers in Bellingham, Ferndale, Birch Bay, Blaine and the majority of unincorporated Whatcom County. In partnership with local governments, businesses and citizens, SSC has successfully implemented many “award-winning” programs. This community’s commitment to the environment has provided us the opportunity to offer a wide range of services and helped make Whatcom County a nationally-recognized leader in waste management. Locally-owned and operated since 1929, our dedicated employees are ready to assist you 365 days a year. Rest assured you are never more than a day away from help. We look forward to serving you. Thank you for visiting! SSC was named the 2012 Green Business of the Year by the Bellingham/Whatcom Chamber of Commerce and Industry (BWCCI). SSC was recognized for our commitment to sustainable business practices and customer services, including our use of biodiesel in our fleet of recycling, garbage and delivery trucks. We are a sustaining member of Sustainable Connections, Toward Zero Waste Founding Pioneer, 100% Green Power Leader, 5-Star EnviroStar, BizCycle Silver bicycle-friendly business and Whatcom Smart Trips employer. 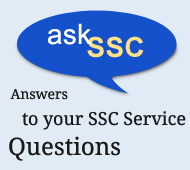 For more about SSC click here. Learn more about our Sustainability Efforts! 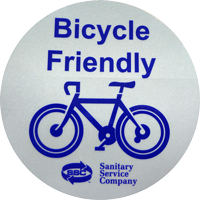 SSC is a bicycle-friendly business. Since 2005, SSC’s fleet has been running on biodiesel. SSC is a Toward Zero Waste Pioneer in Sustainable Connection's Toward Zero Waste Campaign. Go Green Power! Since 2007, SSC has been a 100% Green Power Leadership Partner. SSC achieved a 5-star rank from the Whatcom County EnviroStars program in 2007. Since 2006, 23 SSC employees have made over 9350 Smart Trips.